Keen is a member of the finance team at Nous Group. He has experience in system migration, preparing financial statements and monthly reports, month-end tasks and other accounting duties. Carried out data integration between systems. 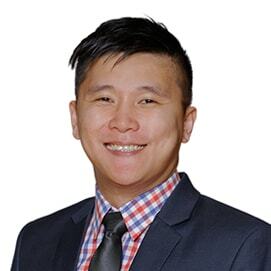 Prior to joining Nous, Keen started his career working in corporate finance and market research before moving into accounting for a finance team in a manufacturing business. Keen is a qualified certified practising accountant (CPA) Australia. He holds a Master of Arts in International Trade and European Integration from the University of Antwerp, Belgium and a Bachelor of Economics (Honours) in Analytical Economics from the Multimedia University, Malaysia. Keen barracks for the Australian Football League’s Sydney Swans and enjoys outdoor activities like cycling, hiking and walking.